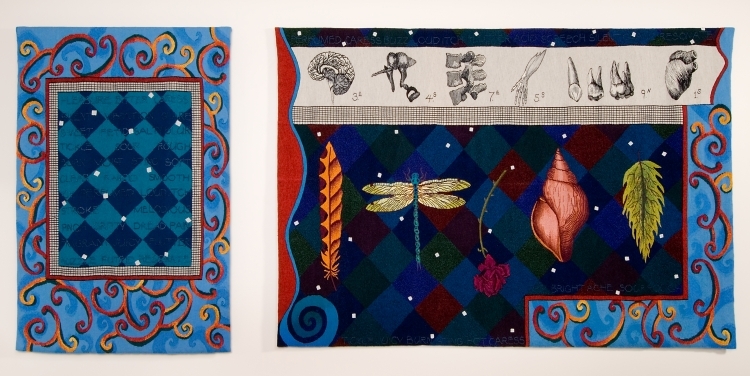 The tapestry 'Incantation: The Senses' links the somatic and the symbolic to create a visual and poetic celebration of the human senses and the creative experience that links sensation, imagination and interpretation. 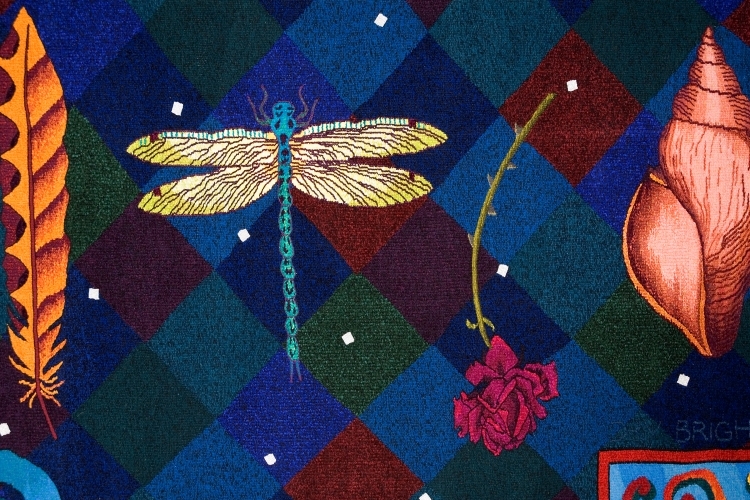 The tapestry is conceived in two sections. The smaller panel functions as an introduction somewhat like a decorative title page. The outer border pattern is ornate and lyrical surrounding an interior field. A chant-like sequence of words are woven across the pattern of the interior field; representing a more physical less romantic aspect of the senses. 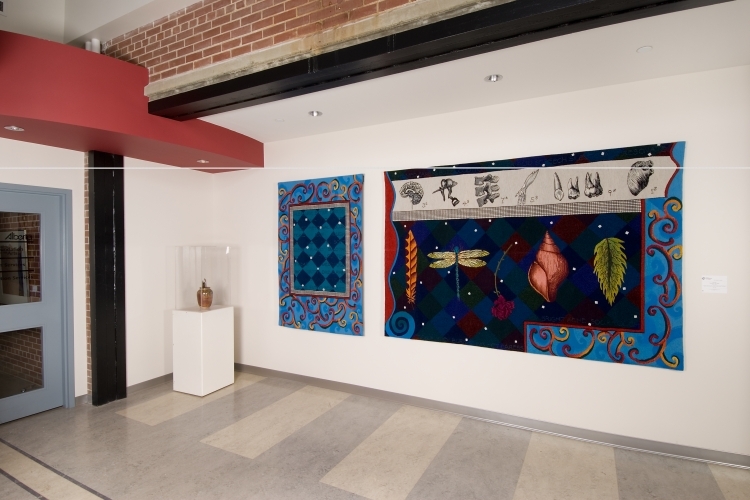 The large panel is dominated by five images that alluding to the five senses. The images are metaphoric and ambiguous each referencing many aspects of the senses. My hope is that the images will resonate differently for each viewer and that they will suggest the interconnection between the senses and how we experience them. I have contrasted the richness of the five symbols and surrounding area with a stark black, white and grey frieze of visceral images of the human body and it’s interior workings. These images are ordered and coded like specimens for study referencing the impulse to analyze, understand and control all aspects of human experience and sensuality.